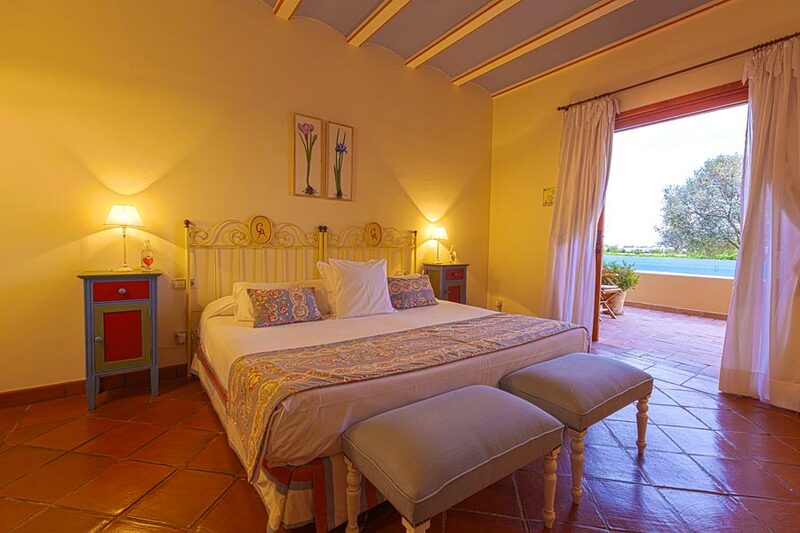 A little 'agroturismo' rural hotel just 3 km from Ibiza Town, enveloped in the quiet of the Ibiza countryside. , Pol 22 Calle Torrente s/n , Can Clavos. 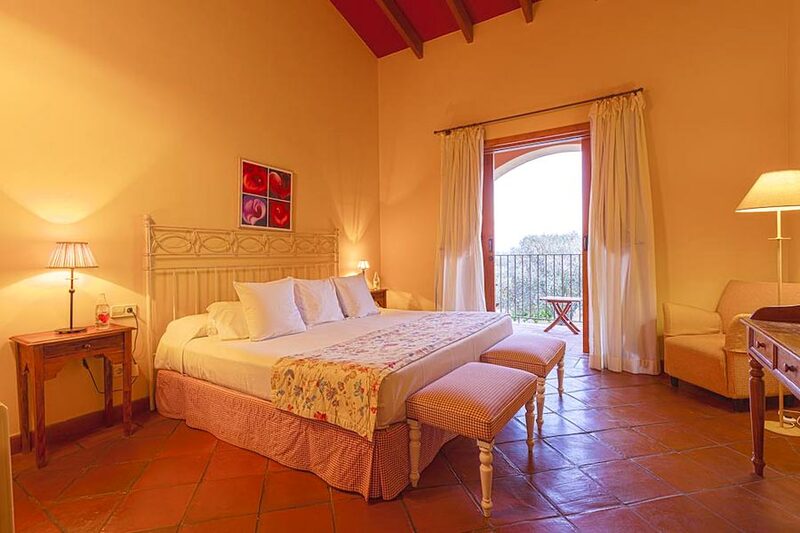 Ca n’Arabi is a little “agroturismo” rural hotel just 3 km from Ibiza Town, a former dairy farm dating back over 100 years. Enveloped in the quiet of the Ibiza countryside, Ca n’Arabi is surrounded on all sides by orange and lemon trees which bring the delicate aroma of blossom and fruit to the air. The renovation of the old farm house and buildings has been undertaken with the utmost care to retain to character and the materials of a bygone age. Even the traditional irrigation deposit remains, now providing both life-giving water to the orchards and an enervating sense of character to the hotel terraces. All around the hotel there are shady pergolas and sunny terraces. The large swimming pool has enough length for a lively swim as well as a corner jacuzzi for those who want to take things easier. Naturally, meals and snacks can be enjoyed in the garden, to make the most of the exceptional Ibiza climate. Indoors is not forgotten though and the reception and lounge are full of natural stone and noble woods, combined with light bright colours so none of the original character is lost. 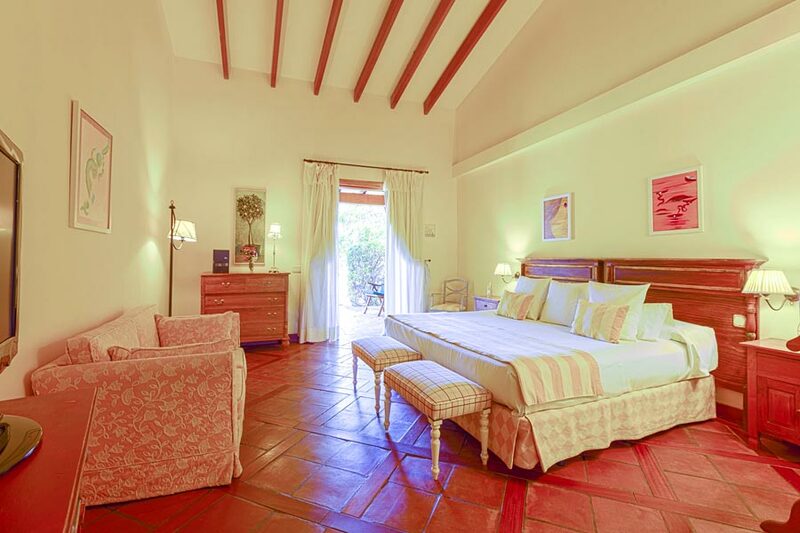 Each of the bedrooms too is blessed with rustic character and modern comfort, each one named after one of the tree varieties growing on the finca. 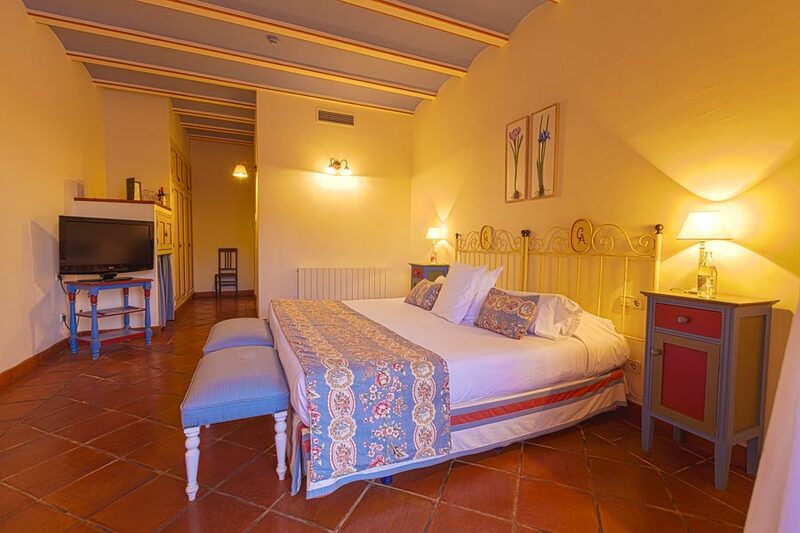 All the rooms have a full bathroom, air-conditioning and heating, satellite television and a minibar. 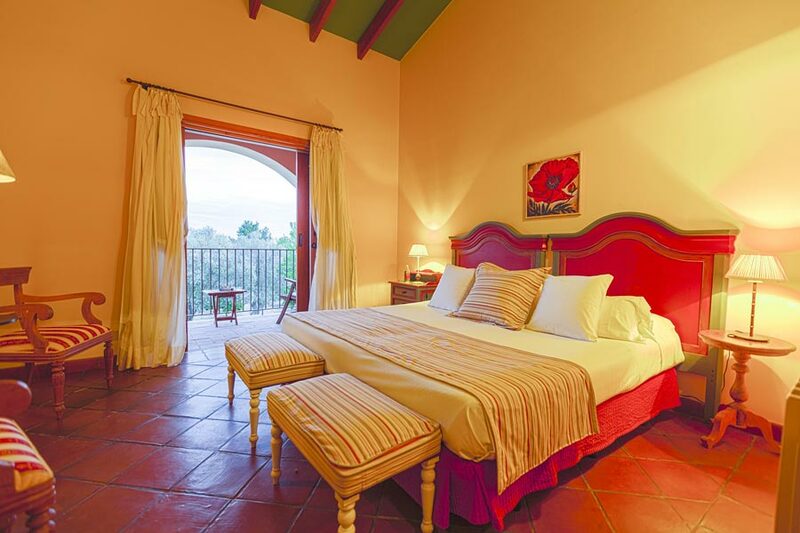 Four of the rooms are suites, with a jacuzzi bath and most have their own private terrace leading directly into the garden. Although a car is always good for exploring the island, Can’Arabi is so well-located for Ibiza Town and the airport that it’s really not essential. 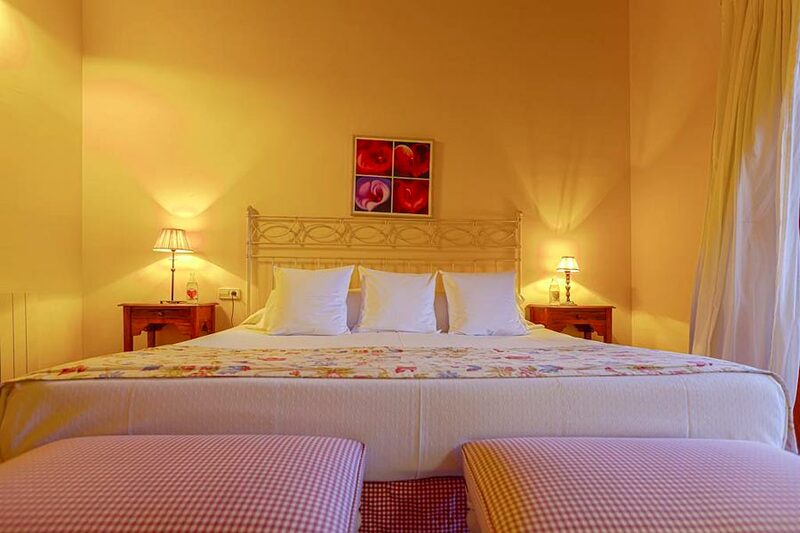 Spacious and light rooms, situated on the first floor, with a balcony so you can comfortably enjoy your rest. Comfortable down filled pillows and king-size bed. 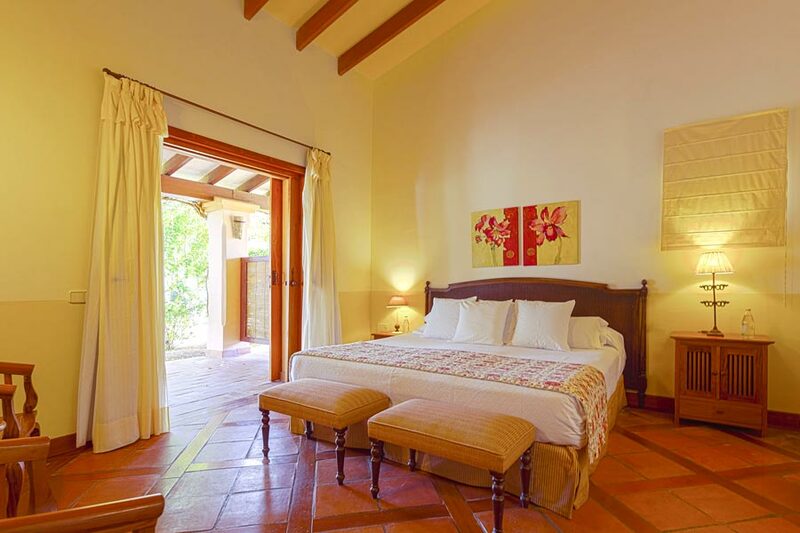 The rooms are softly decorated and situated in the most peaceful part of the house. Modern 32” satellite TV, air-conditioning, minibar, internet, bathrobe and hairdryer, iron and ironing board. 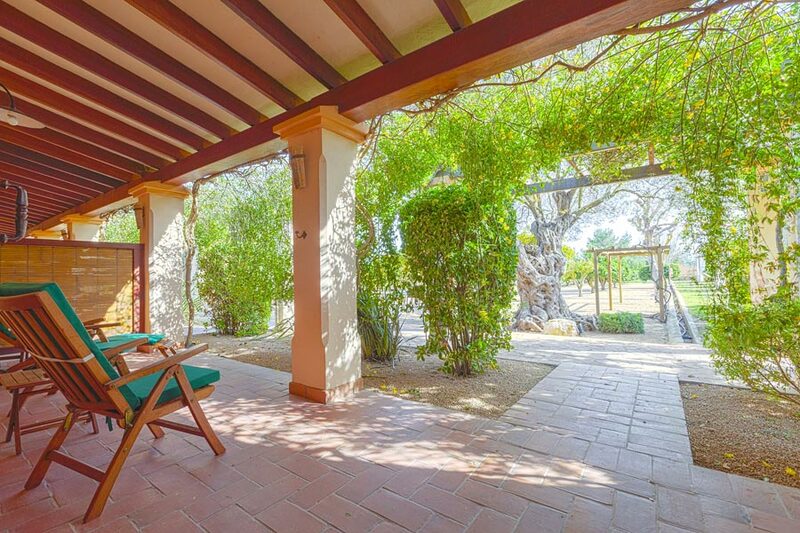 Spacious and light rooms with a private terrace so you can enjoy your rest in comfort. 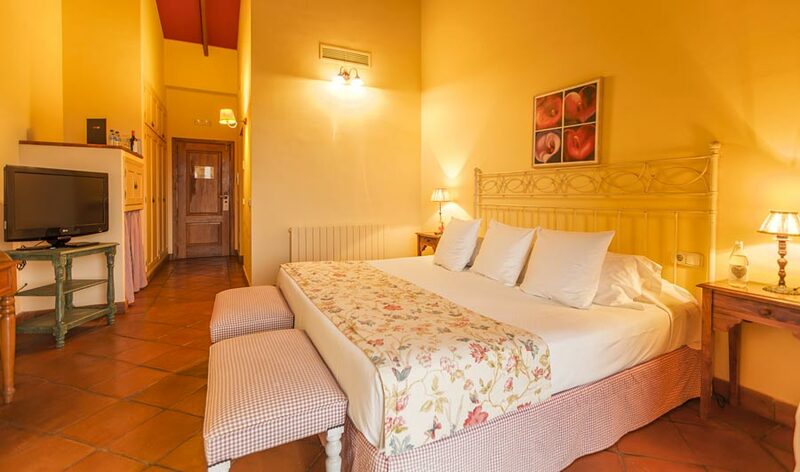 The mattresses and sheets are excellent quality as are soft down-filled pillows.The rooms are generously sized, more than 33m2 and have a king-size bed. 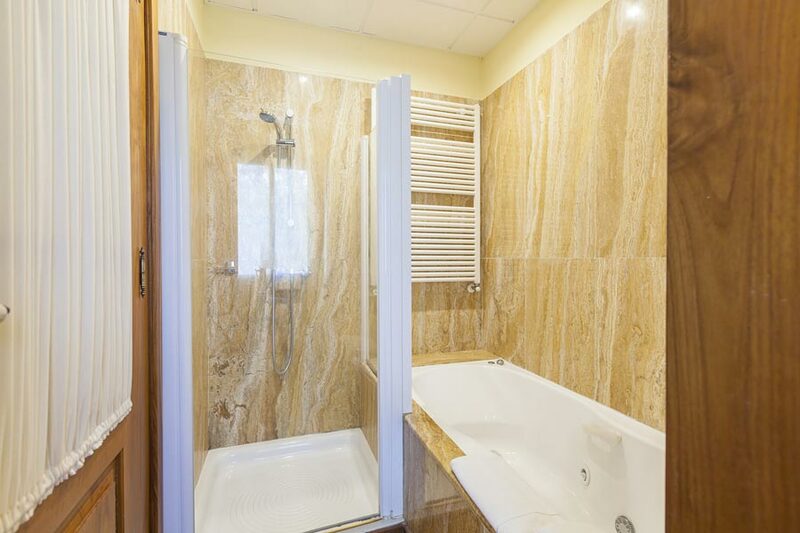 Jacuzzi-bath, modern 42” satellite TV, air-conditioning, minibar, internet, bathrobe and hairdryer, iron and ironing board. 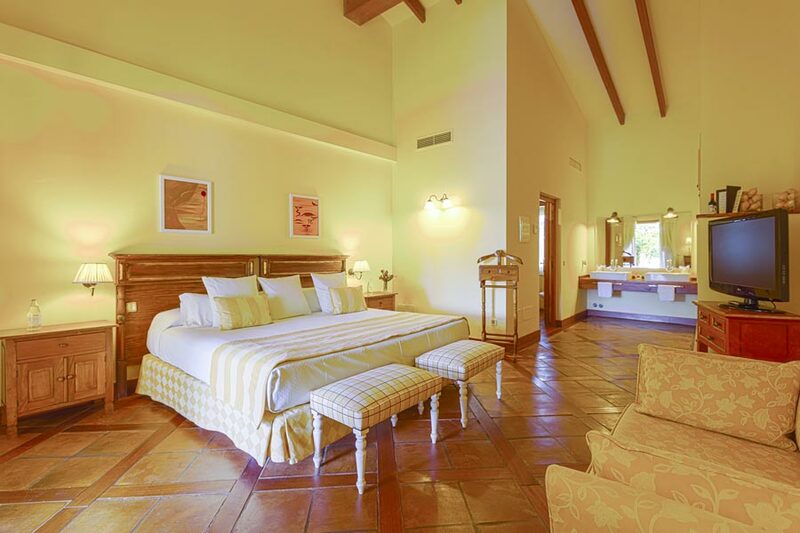 The largest room naturally, on the ground floor facing the garden, with a private terrace, more than 42m2 of space and a king-size bed. 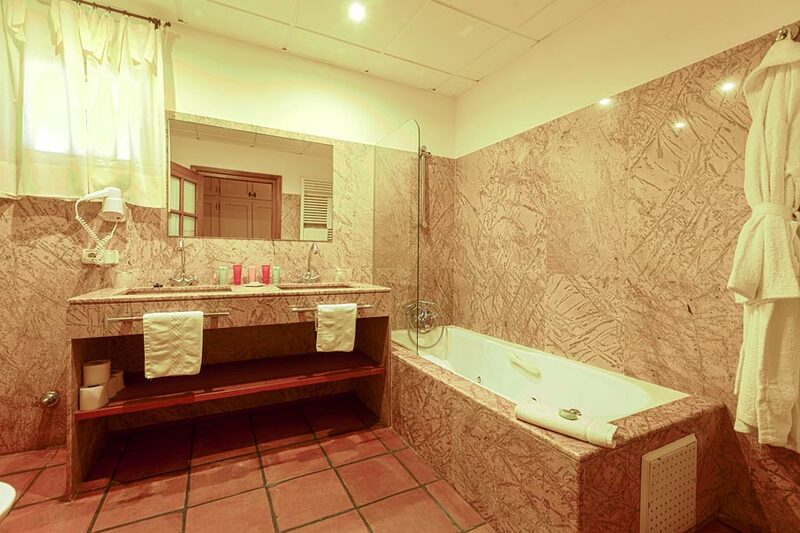 Jacuzzi-bath, modern 42” satellite TV, air-conditioning, minibar, internet, bathrobe and hairdryer, iron and ironing board. Just to say we very much enjoyed Can Arabi it is a lovely small friendly place, almost like a private villa. Can Arabi, the place is absolutely magnificent. It is peaceful bit of heaven with lovely staff, cosy rooms, good atmosphere and tasty crossants. I am really happy to have stayed there over any big hotel. Just 5 minutes by car or taxi from Ibiza Town, yet Can Arabi is a haven of peace and tranquillity. The professional yet friendly service just makes it even better.